Meeting Dates: Choir practice is Thursday evenings 7:30-9:00 PM, in the Rectory Choir Room, third floor. St. Vincent’s adult choir along with the cantor leads the congregation in singing fully and jubilantly at liturgical services. The choir occasionally offers a motet for meditative listening. The choir usually sings at the 9:30 service between September and May. 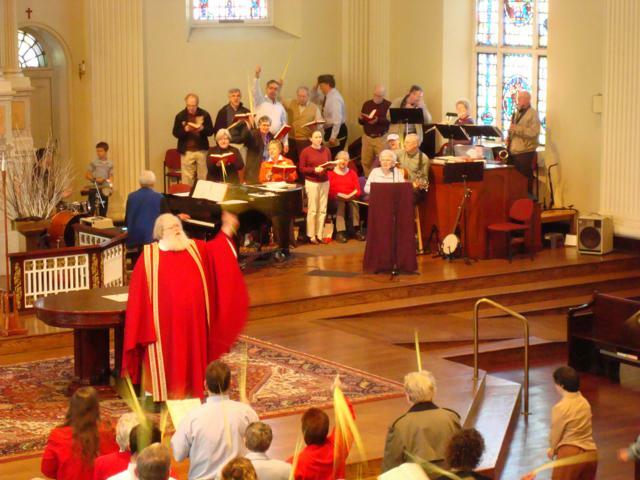 It also sings at major feasts including Christmas Midnight Mass and Holy Week Services.